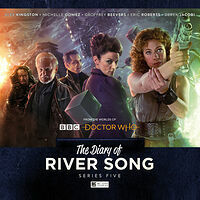 Note: Exclusively available from the Big Finish website until March 31st. The Doctor isn't the only Time Lord River runs into on her travels up and down the timeline. It's something River must get used to: there are three people in her marriage — at the very least!